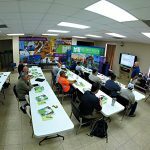 Certified Rigging & Lifting Equipment Services | Holloway Houston, Inc.
Holloway Houston’s world-class testing facility helps us offer a comprehensive range of services that includes testing, technical, weighing, fabrication, inspection & repair, and DNV certification services. 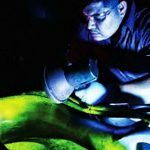 These services adhere to current industry standards manufacturer recommendations and are configured to meet all customer requirements. 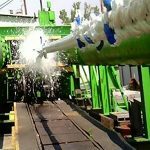 Our highly experienced and qualified staff conducts proof load and break tests of up to 10 million pounds on products like wire rope, slings, oilfield equipment etc. All the test beds at our testing facility meet ASTM E4 standards and are computer driven. This helps check the product capacity of a new product and also how it will perform over time. We have three cyclic test beds including 550 ton Test Bed (Width 4’ 3” Length 45’), 3000 ton Test Bed (Width 9’ Length 200’), 5000 ton Test Bed (Width 9’6” Length 160’). 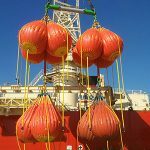 Water bag load testing is an economical testing option for proof testing cranes, lifeboats, structure strength etc. 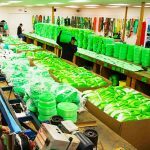 We have a fully trained team of technicians that take your applications through a rigorous water bag load testing process. 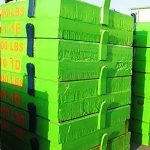 We are suppliers of modular solid weights used for proof load testing of maritime cranes, spreader beams, man-lifts etc. These are available in 100 tons or less. Your needs for proof break testing, rigging and fabrication are taken care of, by our team of engineers and designers/drafters. 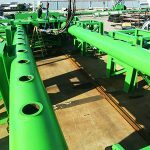 We offer you all the technical services needed to produce products and streamline all processes that are a part and parcel of the oil and gas industry. 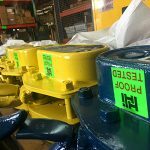 Our weighing services include providing services like force measurement, onboard weighing, calibration services, center of gravity calculation, specialty weight and more. For performing these services we only use the best equipment to provide unmatched quality. 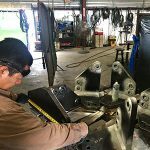 Our customer fabrication services are the best in business and we offer a wide range of them at competitive prices. 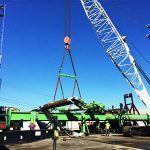 Our services include, but are not limited to, containers, spreader bars, lifting beams, lifting frames and T-Cups. 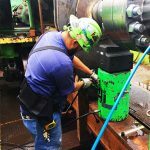 We fabricate over 90% of DNV class slings built in the western hemisphere; we also do most of the DNV witnessed pull testing, and have DNV certified fitting available for shipping; we also offer DNV certification programs.